Niantic is adding the new update in a week and it comes with new encounter gameplays and new evolutions as well. Everybody’s favourite augmented reality-based game, Pokemon Go, is set to get a big, big update, confirmed Niantic, the company that made the game. In a blog post on PokemonGoLive.com, the company said that this new update will add 80 new Pokemon go the game, from the Johto region shown in the anime. “Chikorita, Cyndaquil, Totodile, and many more Pokémon are nearly here! Starting later this week, you’ll have the opportunity to catch more than 80 Pokémon originally discovered in the Johto region in the Pokémon Gold and Pokémon Silver video games,” Niantic wrote. Players will be familiar with the Pokemon names mentioned above if you’ve watch the Johto part of the anime, or played the Pokemon Gold and Silver games. Niantic also says there will be new evolutions, meaning you will have more opportunities to evolve your Pokemon now. So, Pokemon like Evee, which could only evolve into Flareon, Vaporeon and Jolteon till now, will now have Umbreon and Espeon evolutions as well. That’s how it works in the original game. Similarly, you can expect to evolve your Onyx into Steelix now and Togepi should evolve into Togetic as well. Other Kanto Pokemon that evolve only in the Johto region should also be easier to evolve now. Moving on, the new update adds “new encounter gameplay”. 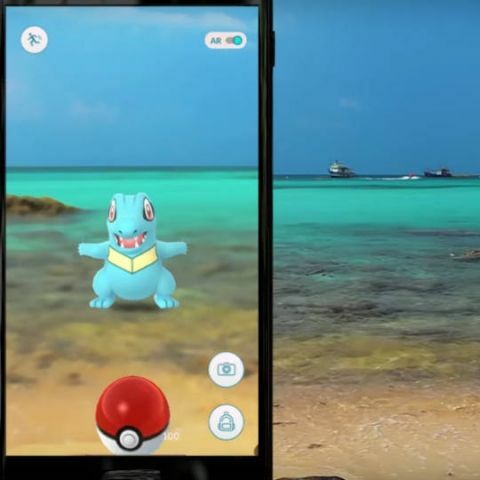 “When you encounter Pokemon in the wild, don’t be surprised if they react in new ways as you’re trying to catch them,” wrote Niantic. There will be new item carousels, allowing players to select PokeBalls, Berries and other items directly from the encounter screen. Speaking of berries, Niantic is also adding new varieties of these to the game. Sticking to the Johto region, Nanab Berries and Pinap Berries will now be added, and they can be obtained from Pokestops as usual. Other additions include an update to the looks you can have for your avataar.